Note: This is the sixth installment in a series about fracking, (hydraulic fracturing for natural gas), controversial because of its impact on public safety and health, as well as the environment. WESTON, W.Va. – One at a time, individual citizens are standing before elected officials and fellow citizens to raise their voices in opposition to fracking and related industries. Those single voices are becoming a chorus however, as landowners and others are speaking out more regularly. Here in Lewis County, the county commissioners – who hold meetings weekly – have had citizens appear before them regularly. In nearby Randolph County, a landowner drew a crowd of about 40 to hear him tell his story of haggling with Dominion over his property rights. In neighboring Doddridge County, residents have been demanding protection from the damaging effects of fracking for years. And multiple boards and commissions throughout North Central West Virginia have heard from one man determined to ensure that there are safeguards in place for the loosely-regulated fracking industry. While there are groups who have been working for years to alert citizens to the public health and safety dangers of fracking, the last few weeks have offered a flurry of activities designed to bring attention to its risks, as fracking operations ramp up throughout North Central West Virginia and beyond. Below are just a few examples of people appealing to their elected officials or neighbors. Some, like the first person, have accepted fracking as inevitable and are looking for ways to monitor and mitigate its impact; others are inclined to oppose fracking altogether. 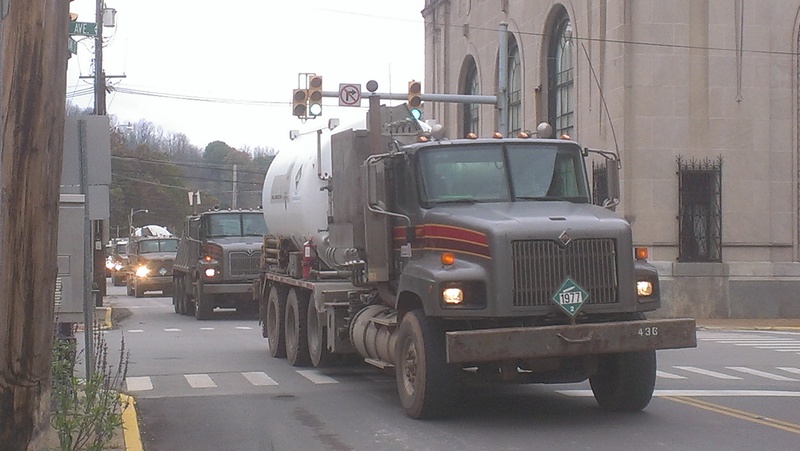 • On October 2, Steve Garvin’s idea that trucks hauling water for fracking operations contain a dye that could quickly identify the location, direction and flow of a spill in the event of an accident was endorsed by the Clarksburg Water Board, though it did indicate such action would require passage of state law. Garvin has traversed the region, pitching his request to local boards and commissions. Some, like Clarksburg’s water board, support him. Others have yet to commit. 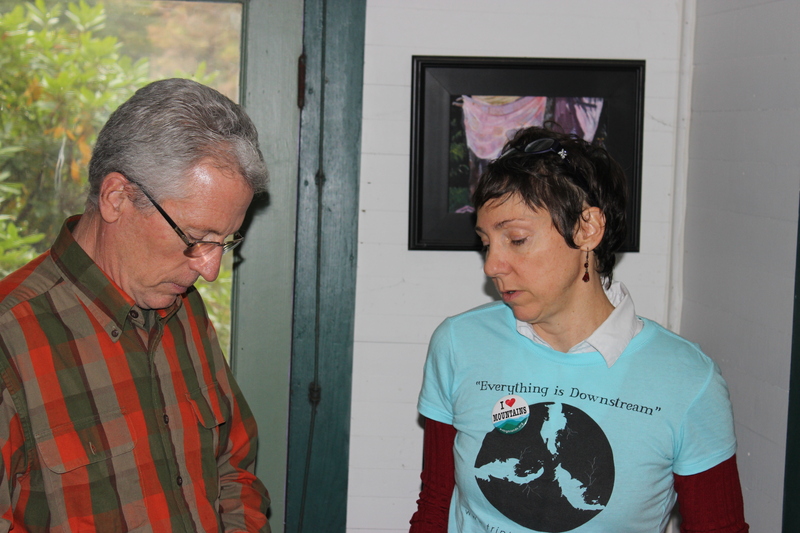 • On October 11, about a dozen or so folks gathered at the farm of Myra Bonhage-Hale for a gathering of various experts who shared their experience with and knowledge of fracking. Bonhage-Hale, who has been in the news for her active opposition to fracking, had just a few days before appeared before the Lewis County Commission, asking them to consider the impact of fracking upon her historic farm. • On October 14, Weston resident Tom Berlin questioned the same body about the county’s disaster preparedness for the risks posed by fracking. 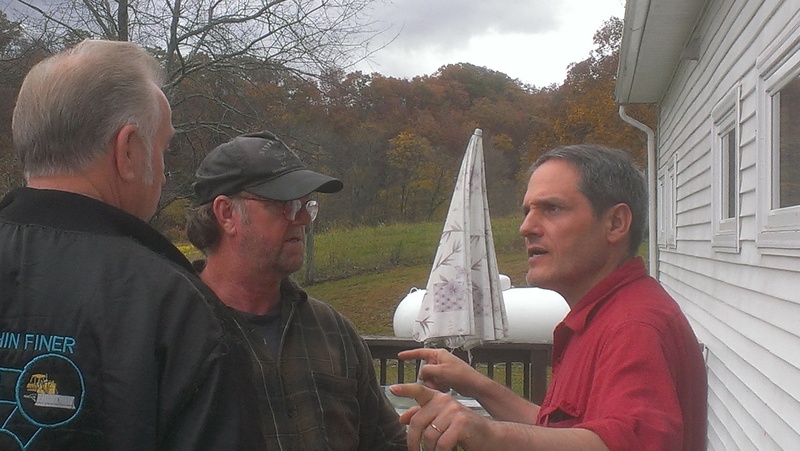 • On October 16, in the Randolph county town of Mill Creek, Joao Barroso faced a room full of neighbors to alert them to what he characterized as deceptive tactics by Dominion Transmission to gain access to his land for the Atlantic Coast Pipeline, a project needed for the vast volumes of gas being extracted through fracking. • On October 20, Lewis County resident Barbara Volk also spoke before the Lewis County Commission, expressing concern about the impact of fracking upon her land, her quality of life and the community. • In Pocahontas County, commissioners there have gone on record as promising land owners they will not allow eminent domain to be used by private industry as a means to acquire land. • In Doddridge County, West Virginia Host Farms and others show the impact of fracking upon the quality of life for people, the land and the wildlife. • Wetzel County, meanwhile, is the poster child for those needing a visual demonstration as to the damage caused to people, their land, their homes and the environment in which they live. In short, residents in every county impacted by fracking are being heard, such as those below. At Myra Bonhage-Hale’s historic herbal farm, known as La Paix (which is French for “Peace”), about a dozen folks from Lewis, Harrison, Gilmer, Uphsur and other counties joined together – many for the first time – to learn from each other about fracking. Those expert in geology, biologist, botany, and water quality were joined by landowners, students and reporters. Milling about in the light mist outside or through Bonhage-Hale’s home, which is on the National Register of Historic Places, the attendees made new friends, gathered additional information, jotted down their thoughts, watched a documentary and took a walk in the woods, discussing how the quiet and solitude offered by the farm may soon be a thing of the past. Indeed, Bonhage-Hale has put the house for sale, not wanting to live with the noise, air and water pollution she is sure will accompany fracking in her remote hollow. Appearing before the Lewis County Commission on Oct. 14, Weston resident Tom Berlin raised questions regarding the county’s state of preparedness for the potential impacts of the shale gas and oil industry upon the public’s health and safety, as well as the environment. He explained, “As you are well aware, in every location in West Virginia and neighboring states, where shale gas and oil have been developed through horizontal drilling and the accompanying hydro-fracking, there have been documented and substantiated incidents that negatively impact community health and wellbeing. Such incidents include spills of chemicals, including frack water and associated chemicals; local water well pollution; stream pollution, resulting from spills and fires, and resulting in killing of fish and other aquatic life; fires and explosions, resulting in air pollution and the evacuation of local residents; leaks of gas and byproducts of refining, again resulting in air pollution, road closures, and evacuations. Berlin continued, “Since the Lewis County Commission is the body that is the first line of protection for the people of Lewis County and who, I’m assuming, place the safety, health, and wellbeing of the citizens of Lewis County as your highest priority, I am here to inquire about the state of your planning for potential disasters and our community’s level of preparedness. In addition to these remarks, Berlin asked the following questions of the county commissioners. 1. What is the status of the LEPC in the county? 2. What is the status of our County HazMat team? 3. What is the status and condition of the two HazMat trailers? 4. What is the status of our emergency response plan and where is it available to the public? 5. Have you included in the plan consideration of the possible impacts of disastrous events associated with imminent large scale shale gas development in the county? 6. We have been watching the progress of the current natural gas boom as it moved through Ohio, Pennsylvania, West Virginia’s Northern Panhandle, and on into neighboring counties. What have you been doing, proactively, to make sure that Lewis County is prepared to cope with potential disasters of varying types and sizes? 7. Do you believe that the Lewis County Commission and the citizens of Lewis County should have a current and complete list of the various chemicals being used, stored, transported, and disposed of by the energy industry? What are you doing about this? 8. I believe that you, as a county governmental body… have the authority to demand complete transparency from the various members of the energy industry about the chemicals used in the process of fracking and other aspects of the gas development. Do you agree? What will you do about that? 9. Can you assure me and my neighbors that you place the health, safety, and wellbeing of the citizens of Lewis County above considerations of convenience and profit for energy corporations? 10. If you are not prepared to provide detailed answers to these questions today, when could I expect to see answers? Barroso outlined for those in the audience what that meant in reality for a landowner. He vehemently disputed the company’s claims that it would improve the environment of his land or be fair to him economically. Months of unproductive correspondence continued said Barruso until in early October, he wrote a letter to Russell Johnson, a dominion manager, for land leasing and rights-of-way. Johnson answered that he was “pass[ing] it along to the Dominion land group assigned to this project and ask that an appropriate follow up be provided to [me] promptly.” Barruso had yet to receive a response at the time of his remarks in Mill Creek. • A detailed list of what Dominion considers benefits that result from this project, both to the local community and individual landowners and other affected parties. Having to ask his questions demonstrates that Dominion is not responsive to the very people that will be most impacted by it, argued Barruso. She told the commissioners, “I am self employed, and my farm is all I have. Every spare penny that I earn and all of my time goes into re-establishing and caring for the native plants that this state is so well known for and which are mostly gone. My farm is part of the forestry stewardship program, designed to preserve and improve the quality and health of our forests. 1. 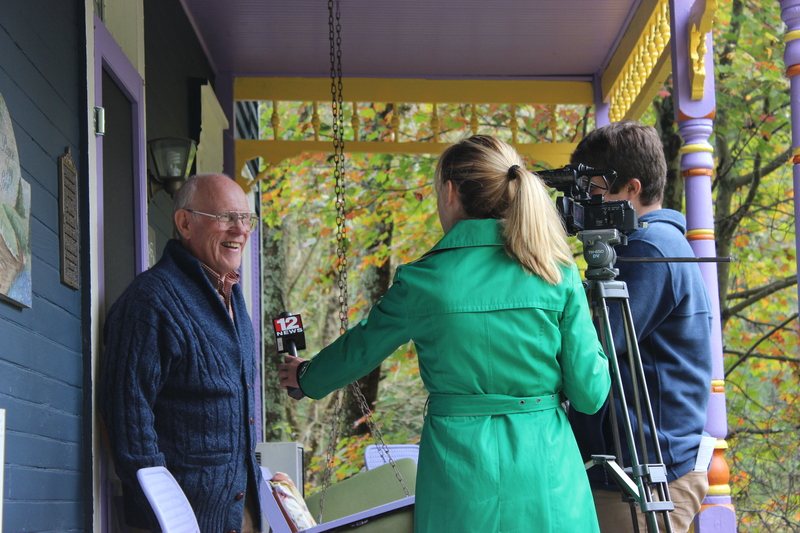 Have any of you been to Doddridge County, met with the residents, and seen what it really means to live with fracking? If not are you willing to do so? What are the actual number of jobs that you expect to be created for Lewis county residents? 2. What steps are being taken to ensure our safety on the roads with the increase of truck traffic and drivers willing to pass on double lines? 3. What provisions are being made for homeowners who will be affected by loss of land value and insurance? 4. Are you willing to support a moratorium on fracking and all related activities until there can be a review of the Independent studies on the negative impacts of fracking? 5. Will you support a series of public forums where the residents of the county can have access to this information in a forum that is a true question and answer session, not just a company sales pitch? It remains to be seen if these individual voices, as they are joined by others, will have the impact they desire. Yet, there is no denying they are raising challenging questions – and sounding more like a chorus than soloists.